Like many things in life, cooking can quickly become over complicated, which can make it intimidating, which can easily lead us to opt for take-out instead. Our relationship with food has been evolving over the last 50 years, including our tolerance to work with it on a daily basis. 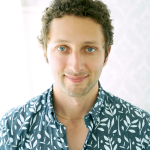 Now, there are a number of factors contributing to this (i.e. fast, cheap, always-available, lean cuisine-esque food) but above all else, I think people over complicate cooking and therefore stray away from it. Take tomato sauce for example. To me, homemade tomato sauce conjures up visions of Sundays at Nona's house, spending hours on end picking tomatoes and meticulously skinning and de-seeding and squishing and seasoning and... you get the idea. Sounds exhausting, right? 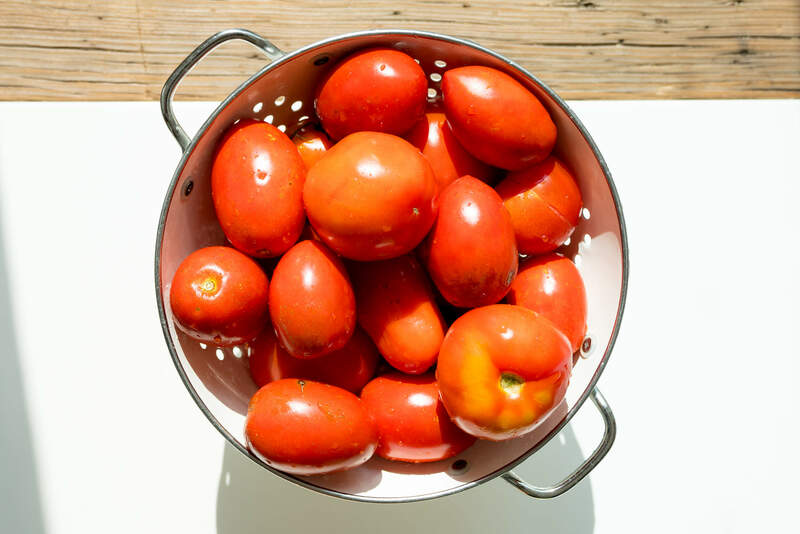 Well, I discovered it doesn't have to be and I'm going to share with you the secret to incredibly delicious homemade tomato sauce that you can make in under 40 minutes. The secret you ask? Tomatoes -- good ones. This is the time of year to stock up on tomatoes, so if you're inspired, now's the time to get some. Halve them and place on a baking sheet. Blend until smooth (including the skin and seeds). And that's it – you're done! Fresh, homemade tomato sauce. Simple and delicious. 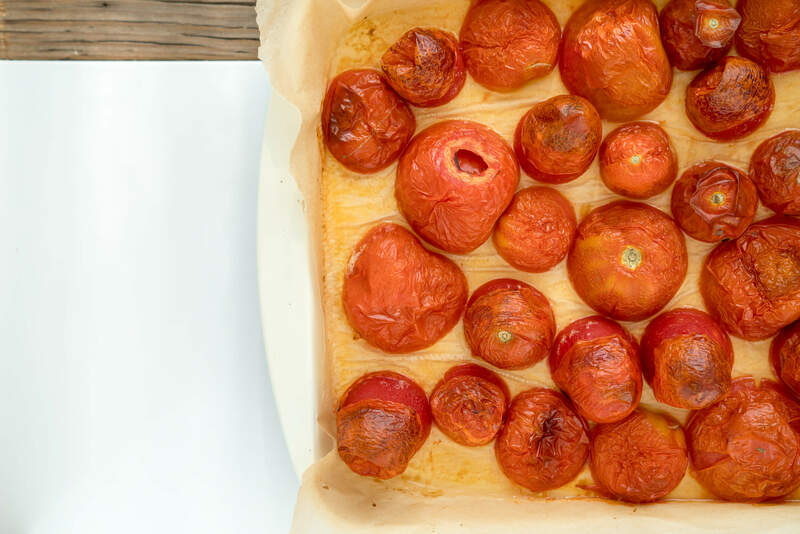 Halve tomatoes and place on baking sheet. Bake for 30-40min at 350 or until skins are easily removed. 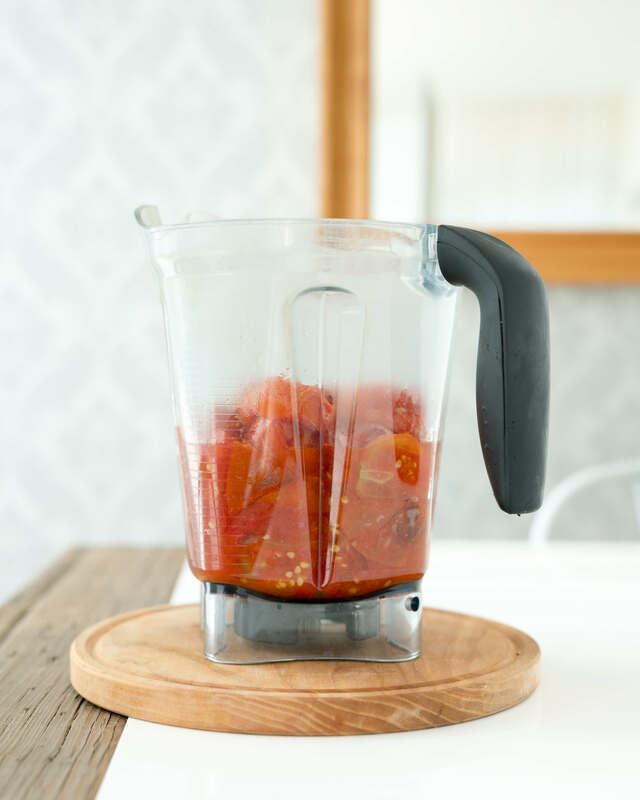 Place tomatoes (including skins and seeds) into the blender and blend until smooth. After you have the base prepared, simply season to your liking. One of my favourites is to saute garlic, add the sauce, top with fresh basil and voila! You may wish to reduce the finished sauce for a more dense consistency, but I didn't find the need to do so. *You may use 2 dozen tomatoes but you can't really go wrong. The more you roast, the more sauce you have! After you have the base prepared, simply season to your liking. One of my favourite ways of making this is to saute garlic, add the sauce, top with fresh basil and EVOO and voila! Yes, it's simple, but isn't that the whole point? This would also make a great sauce for homemade pizza! What's your favourite deceivingly-simple recipe? Share in the comments! What no garlic or salt and pepper??? WOW!!! I love this recipe! It inspires me to try something new (and nutritious) because it's so easy!!! I make mine the same. I roasted whole garlic head. Once the tomatoes are roasted,I blend it and put a few garlic cloves and blend into smooth . What a delicious pasta sauce. Yum! What is the shelf life of the sauce? I would keep it for max. 5 days in the fridge, but you could always jar and freeze it if you wanted to make larger quantities. What are the best variety of tomatoes to use for a sauce? Looks delicious! :) Thanks! The Italians will tell you, San Marzano, but I say whatever's in season. 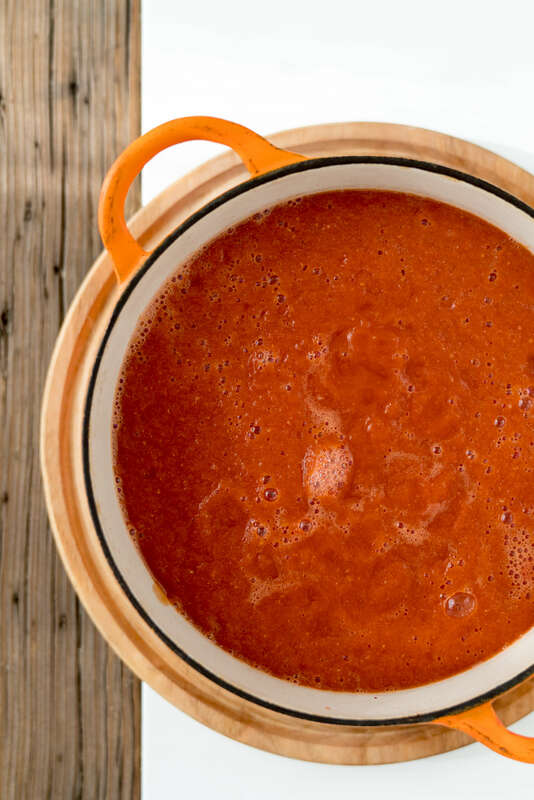 The tomatoes in this sauce were a mix of what looked good at the market. Good question :) I would do 2 dozen to be safe. Joy is clearly the professional here...I just throw stuff in a pot! Do the seeds and skins completely break down when you blend it? I know its a bit of a weird question but I have a real tomato seed aversion. Love it Walkman!! Can't wait to add this to my meal prep on Sunday!! I just made this and it is so easy and so delicious!! Thanks for the recipe. It's a keeper! Hi!! What can I use when making this “off season”?? Just any tomatoes?? I have 100-150 tomatoes that need to be processed in the next week- ripening at different times. This looks great. I want to jar it, but I don't want to fill up my freezer. I think I need to put salt in it for a preservative Any idea how much? I am thinking a tsp for every baking tray of tomatoes? If you're freezing it you don't need to add any salt. But if you do plan on canning some of them then you'll have to follow a proper canning recipe by sterilizing the bottles etc. I actually don't do this only because I don't have a large enough pantry. However, if you google "canning tomatoes" you'll find a gazillion recipes. Good luck! I thought skin and seeds are bad for you as they contain lectins. Traditional Italian tomatoes sauces remove the skins and seeds. Do you have any concerns health wise adding these in? I think it really depends which Nonna you ask ;) I don't have any concerns with consuming seeds and skins. 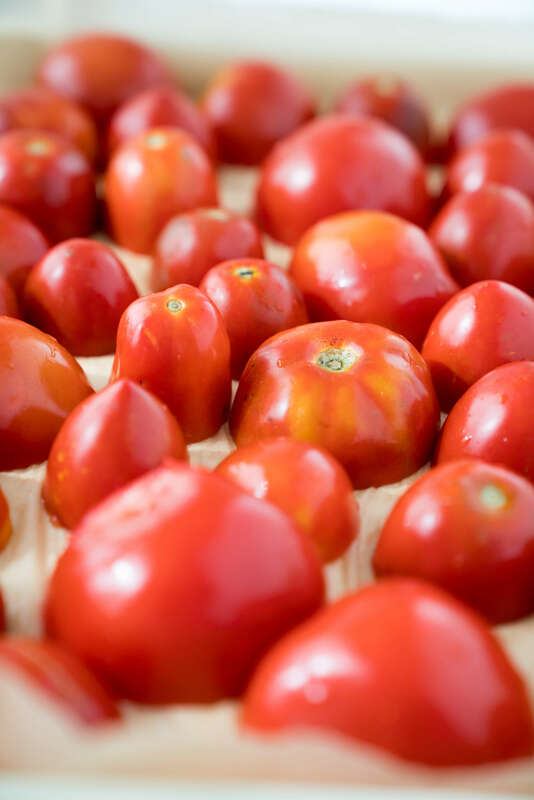 The largest source of lycopene which is strongly associated in research for cancer prevention is found in the seeds and skins. The research on "food" lectins and health is seriously lacking when you compare it to the research on the heaht benefits of foods that contain lectins. My take is if you find avoiding lectins makes a difference in your health, then keep doing that -- peel and de-seed. If you don't, then skip that step and enjoy the tomato sauce! Hope that helps Jen! That is soooo easy!! I didn’t think it would be..... lol. Can you freeze it? Thanks for sharing! Oh yes definitely! You could also can it and keep it for months! I typically freeze it then I've got extra to enjoy throughout the winter. BRAVO - simple is best!